The Thinking Classroom. Don’t Call it Challenge! Challenge and high expectations. That’s what you would expect to see in an evaluation of a lesson which was highly effective. They are words which indicate that students were “stretched” and that their learning was maximised. This is all very positive, but what does challenge actually mean? It could mean lots of things to lots of people, which is why I dislike the phrase when thinking about developing teaching. For example; In a one hour History lesson if students have to sift through twenty sources to find out information is this challenging? Possibly, possibly not. It’s “only” selection of materials and some students may find this easy. If however, on closer inspection students really had to think about the selection of information then in actual fact they are thinking like Historians and this could be highly “challenging.” It is not the task that is challenging it is the thought that goes into it. Watch a professional sportsman run through drills, it may seem “low level challenge” but they are thinking about every movement. Seems a bit odd to suggest that a classroom has be a “Thinking Classroom” surely that’s what happens in a classroom? Well yes, mainly. But, learning is messy, unpredictable and as Graham Nuthall suggests in his book, often “hidden” ( The hidden lives of learners will change the way you think about classrooms) In order to be a great teacher you have to light up the classroom, because you can’t see learning easily. Students “hide”; after because they can, and it helps them cope. With 25-30 student in a class, mountains of content to “cover” and the 1 hour lessons, revolving door, factory system we have, it is little wonder that in this controlled chaos students can tactically hide. They hide in a number of obvious ways, they don’t put their hands up, or they give short answers, often knowing that the teacher will “move on”. They do “just enough” so that when the teacher looks at their books they nod, moving onto those who for many reasons haven’t written anything down, or who are distracting others. This is not always deliberate, cunning – work shirking, rather a mechanism to cope with 5 lessons a day. If you have ever shadowed a pupil for the day, and tried to do their work you’ll understand how confusing and tiring a day can be when you are 13. Thinking is hard, it takes deliberate effort and often support. Ever wondered why students like writing in the title and date? It gives them a rest-bite form “thinking”. Our brains are great at conserving thinking energy. Consider why the staff car park looks exactly the same every day; people park in the same spot because they then don’t have to think when they finally traipse out at 6.30pm. Students are the same. So how do we stop this? How do we “light up” the hidden lives of learners and create thinking? Lighting up the classroom is an area that has vastly improved since the articulation of “formative assessment” by Black and Wiliam back in 2001. Assessment for learning as a buzz word almost doesn’t exist anymore as it is so entrenched into teaching practices. A better phrase would be “responsive teaching”. Trying something with students, measuring it there and then, evaluating if it has been effective (students get it or not) then adapting the teaching. There are a huge host of ways to do this that most teachers are aware of these use them regularly. As effect sizes go, effective feedback is about the best thing you can do to improve achievement. Please note “EFFECTIVE” feedback. If you feedback too soon, or it is too shallow the feedback can actually have a negative effect. However, teachers are generally good at AFL. They use Traffic Lights, thumbs up/ down, no hands , post-it notes which all help during the lesson. Peer Assessment, Self Assessment, Criteria in student speak, personalised learning check lists, exemplar answers, the list goes on and on and on. Not to mention; diagnostic marking, quizzes, mock exams (mocks after mocks, after mocks) doddle and online testing, grades reported every six weeks. Students are monitored more than they ever have been before. This is a good thing. Mostly. “Mostly” because challenge and thinking do not automatically come about because a teacher can “light up the classroom”. There is absolutely no point in a teacher demonstrating a host of AFL strategies which clearly show that students have moved from A to B, when they could have moved from A to E. Often you will hear OFSTED inspectors and observers to a classroom use the phrase “Expectations”. Expectations were too low of both students and teachers, or that the teacher had high expectations. This is a non- sensical phrase in many respects. I had great expectations of my guitar playing at 13, doesn’t mean I’m a rock star driving 15 cars. Expectations have to be high of course, but what really has to be high is the level of “Thinking” in a classroom. 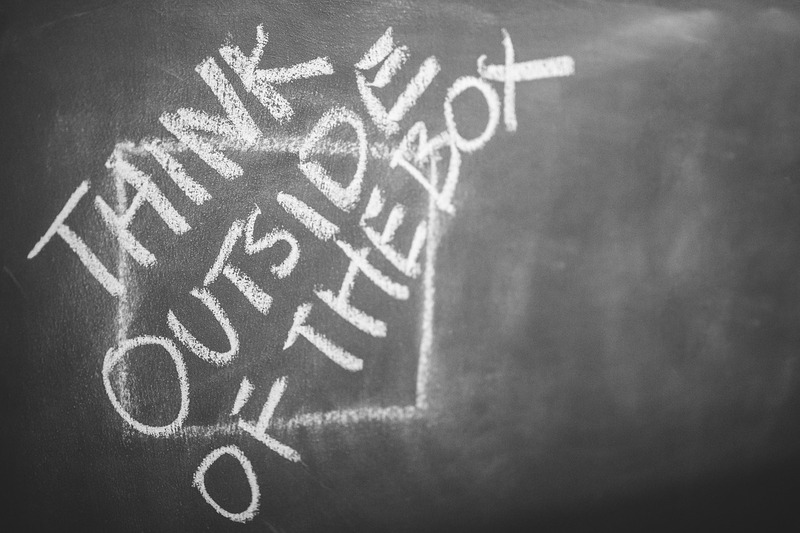 Teachers have to create thinking in their classrooms. 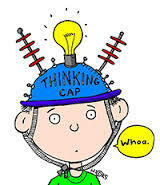 Not challenge, that can mean lots of things to lots of people; they have to create thinking. Do not mean simplify. Do NOT simplify. It is worth saying twice because as teachers we are brilliant at it; we often have to because we are “breaking down” complex things for students to learn. BUT this habit can betray and our students. What lives in the Rainforest? Why is it so wet? What is the temperature of the Rainforest? Where is the Amazon Rainforest ? What is it like there?/ Why is it called a Rainforest? What grows in the Rainforest? Why must we conserve the Rainforest? They are very logical lessons, they follow on from each other, with the effective teaching at the end of the 6 lessons students would have gained new knowledge of the Amazon Rainforest without a doubt. How much thinking would have occurred though? Well perhaps lots, but how else could this series of lesson potentially create more thinking? Lesson 1 to 4 – What is the climate of the Amazon Rainforest? Why is the climate like this and how does it affect what grows and what lives there? Lesson 5 and 6 – “There is no need to conserve the Amazon Rainforest, we can cut more trees down for farming, homes and resources” How far do agree with this statement? Of course it all depends on how these lessons are managed. If for example students are just given the two questions in scenario 2 and the resources, without the teacher effectively explaining and questioning there is a real danger that this “independence” just results in confusion. The “independent” classroom should not be confused with the “Thinking classroom”. Independence does not of itself create thinking, in fact the opposite can happen. What these two scenarios do illustrate though is that planning a series of lessons with “Thinking” in mind is crucial. As teachers we are naturally very good at breaking up very complicated things into smaller parts so that people can understand. It is our default setting, because we do it all the time; we have to, we are teachers. But what we really want to do is to create learners. To do this we have to sometimes stop breaking things up, not so they are more difficult or more “challenging” but so they create more thinking. Scenario 2 could and I stress could create more thinking than scenario 1. But equally it could descend into chaos (as could any lesson) because the teacher does not consider that when you make students “think” you have to make them think! This takes time. Give them TIME, time to investigate, to get stuck. 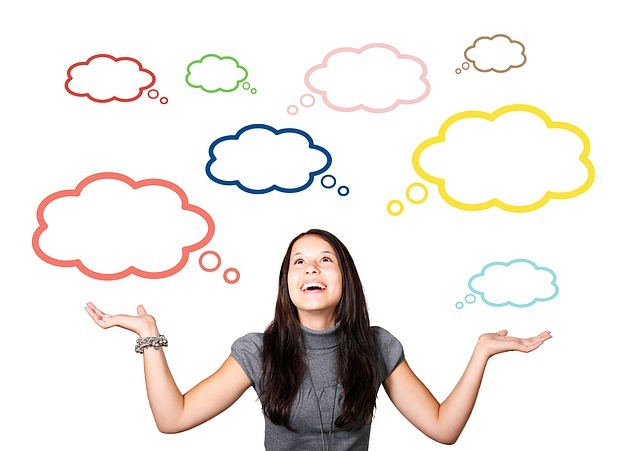 Discuss/engage students with the questions – Get them to work out what is being asked? What information will they need to have in order to answer these questions and how might they go about this? Create a culture of three before me? Book, Buddy, Board. So students have to look at the board, ask a friend, refer to the book before asking for help. Creating a thinking classroom is hard. It is much more than what is in this blog. It is about creating a culture of thinking through high quality questions and series of lessons. It is about giving students the opportunity to stop, wait and struggle. This entry was posted in Assessment, Ideas, Pedagoo on April 20, 2016 by @lecfarnborough. In response to the UK Governments announced consultation regarding the purpose and quality of education in England inquiry I was asked to offer my thoughts on the purpose of education by the EducationPolicyNetwork (@edupolicynet). Learning is a lifelong process of both passive and active engagement with the empirical and ontological world. It is a transformative process leading to a permanent capacity change, a process which, if actively engaged with and directed towards premeditated goals throughout ones life, can be called Education (personal enlightenment). From the cradle to the grave we learn with, from and because of others and the more we come to take control of these interactions the more effectively we come to learn about ourselves, others and the world in all its forms and strata. An individuals capacity for a lifetime of learning (Education) is shaped by countless variables, encounters, mechanisms and structures, yet one system plays a significant role in liberating an individual from dependance to independence, an education. In many cases formal education seeks to primarily induct an individual into the empirical and ontological reality of a given community and culture. Thus education systems provide a curriculum which imbues an individual with domain and non domain specific knowledge, embed that knowledge as understanding and foster the development of culturally prized skills. In the prevalent system this is important as mastering these grants access to later levels of education and is the currency of socio-economic mobility. Along the way a learner develops social skills, behaviours, attitudes, beliefs and in some cases attributes. But if we consider the work of Freire, Bernstein, Marx and to an extent Critical Realist philosophy, an education is more than a process of at best enculturation and at worst indoctrination. An education is an opportunity to liberate learners, furnishing them with the knowledge, understanding and skills, attributes and aptitudes to both master their learning lifelong and lifewide, enabling an individual to direct their personal Education. Traditional transmission and ‘banking’ (Freire, 2000) approaches to education, and in turn teaching, which focus on the triumvirate of predefined knowledge, understanding and skills is no longer an appropriate preparation of todays adolescents for their place in our Brave New World (see for example Long, 1990; Field, 2000; Skidmore, 2003; Alheit, 2009). Top down and grass roots change have and will continue to undoubtedly occur within the how of learning, teaching and education. Yet the how without the why lacks true value. It is the question of why, and the purpose of an education, which still requires satisfactory address. An address not shaped by political and personal bias, but shaped by the hopes and ambitions we collectively have for humankind as it strides forward into an unknown future. It is not for me to determine the why of education, but as someone actively involved in both my own Education and within the engineering and facilitating of the education of others I have come to recognise the following. My applied philosophy of Education is one which recognises that it is the duty of an education to enable learners to know enough about themselves, others and the world to find out more and to build a cognitive and social network of understanding. To enable learners to develop and practice a range of skills which they can hone, develop further and synthesise with others throughout their lives. To question, to be self motivated, self regulated and to be aware of how they, others and the world works. Education is about capacity building, facilitating an individuals ability to recognise, enable and enhance their own Agency. If an education is focused upon these goals then gender, race, background, socio-economic status should not hold an individual back. If an education provides the means to develop a lifelong-lifewide learning capacity through socialised-learning contexts where thought has been applied to how group interactions can be managed for the benefit of learners and learning then differences such as gender and race can became facilitators of learning rather than potential shackles on liberation. To enable the above, systems of education, and associated pedagogies, must actively foster a learning orientation (Watkins et al., 2002), a willingness to learn (see Skidmore, 2003, p.15), and the attributes that could enable a capacity to engage with learning lifelong (Yaxlee, 1929) and lifewide (Ekholm and Hard, 2000, p.18; Alheit, 2009, p.117). Such an education would provide the route towards empowering all learners with the cognitive and social tools enabling them to positively interact with an undetermined future (see Costa, 1991; Broadfoot, 1996, p.23; Costa and Liebman, 1997; Skidmore, 2003, p.14; Watkins et al., 2007, p.18; Costa and Kallick, 2009). In addition to recognising the purpose of education expressed above, systems of education must also preach and practice the tenets of effective learning. Without experiencing a culture of effective learning how would an individual come to recognise and master their own effective lifelong-lifewide learning? It is my fundamental belief that the most effective learning results from an active process of engagement with learning (Ireson, 2008, p.6) in order to achieve premeditated goals (Resnich, 1987). Illeris (2007) suggests that this active process is stimulated by the interactions between three dimensions of learning, content, incentive and environment, a theory supported by Claxton (1999), Watkins et al. (2002) and Ireson (2008). When such an interaction process is placed within a social context, such as the classroom or wider societal contexts, a further tri-directional relationship is activated between rules, tools and community, all of which shapes the activation, direction and nature of learning (Engestrom, 1987, 2009). At the heart of this active learning process is an acceptance of the enabling role of social factors, a central truth of constructivist, social-constructivist and particularly social-constructionist philosophies championed by Piaget (1923), Vygotsky (1978) and Burr (1999). Learning, facilitated as a social process within education contexts such as schools, is explored throughout the literature relating to effective learning (see Lave and Wenger, 1991; Watkins, 2005), cooperative learning (Johnson and Johnson, 1999) and collaborative group learning (Gratton, 2015). The literature, drawn from diverse academic fields, highlights the varying cognitive, social, psychological and societal benefits of socialised learning, in particular learning which is collaborative in nature. Ding and Flynn (2000) highlight the relationship between an individual’s engagement with collaborative learning processes and the development of some of their more general cognitive skills, in particular, ‘intersubjectivity, planning, communication and inhibition.’ (p.3). Panitz (2011) furthers this, citing 67 benefits of collaboration including, improved learning and achievement, improved skills, improved engagement and responsibility and improved relationships. Bruffee (1993) believes that collaborative learning processes encourage learner autonomy through a development of ‘the craft of interdependence.’ (p.1). The development of this attribute promotes a shift from cognitive self-interest to mutual interest, the development of positive learning and social relationships between students and an increased openness to being influenced by and influencing others (Johnson and Johnson, 2008, p.12). Evidence also suggests that due to the way in which collaboration requires the use of dialogue, in problem solving and social mediation (Vygotsky, 1978; Mercer, 2002), verbal task regulation is stimulated (Biemiller et al., 1998, p.204), effective learning encouraged (Alexander, 2006, p.9; Kutnick, 2010, p.192) and personal identities developed (Bakhtin, 1981; Renshaw, 2004, p.1), helping to form socially adept individuals. From this it could be concluded that a learner may become increasingly more able to control their Education due to an education structured to engineer and facilitate socialised-learning as described above. Applying the discussion above to an education raises numerous implications for pedagogy, curriculum and assessment. These aspects are widely researched, discussed and at times vilified, collectively generating much white noise within the ether of educational debate. I have written about and will continue to reflect upon how these aspects of an education may be reorientated to enable learning for the purposes of a lifelong-lifewide Education but other than promoting here a Collaborative Group Learning Pedagogy, a Connected and Collaborative Curriculum and Authentic Assessment I will say no more on these areas. It is commonly accepted that Europe has socio-economically and culturally shifted from being “workshop of the world” to predominantly a “knowledge economy and society”. The post modern knowledge society and rapidly changing world we find ourselves part of requires much more from todays learners, their teachers and existing systems of formal education. An education must recognise this change and orientate itself towards educating todays adolescents with a capacity to engage with our rapidly changing world, directing their own Education throughout their evolving lives. Ultimately education should seek to build an individuals capacity to both actively and positively engage with and shape the world around them, enabling them to create their own reality; the defining element of ones liberation as a human. Rob Gratton works as an Assistant Principal in a North London Academy with responsibility for Research, Pedagogy and Curriculum Design and continues to teach within the Humanities. In addition he works for UCL Institute of Education as Subject Tutor on the Teach First programme and is course lead on the Assessment for Learning Masters module. This work is furthered through a number of design and teaching roles which presently include working for the States of Jersey and the Government of Macedonia in the development of their ITT programme for Secondary practitioners. Facilitating this work within education is Rob’s ongoing Doctoral studies in the fields of socialised and collaborative group learning. Rob’s work in education is accessible at www.collaborativegrouplearning.com and @CGL_edu. This entry was posted in Assessment, Creativity, Curriculum, Ideas, Leadership, Professional Learning on January 19, 2016 by Rob Gratton. I have seen students self and peer assessing with no guidance, structure or success criteria. In my opinion it doesn’t work. If the students knew what to do well and how to improve they would have done it in their own work in the first instance. 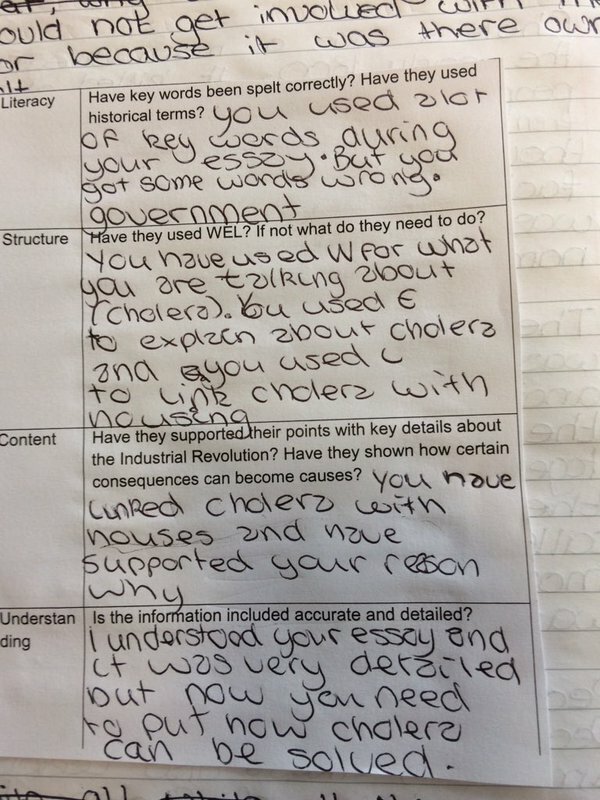 Comparatively, I have seen some fantastic peer and self-assessment with the students creating their own criteria and really setting the task, so who better to evaluate progress than them. In some instances using a more able student to offer guidance has been a nice touch to peer assessment. My department have settled on the examples included. This simple criteria that can focus them in on a narrow aspect of their writing and then make them have to think about their performance overall, has had great success in the department. Although, I would say it doesn’t work as well with lower ability groups as they tend to go for a ‘yes’ or ‘no’ answer. One of my colleagues’ @historyteach91 developed a tick box for LA but it doesn’t allow for the same focused thinking and improvement – something for us to work on. The idea was first presented to me, by an educational consultant I was working with when I first took over the department, as a way for students to assess any piece of writing in its planning stage. We use it for assessing plans but also for a stop and think tool when the students are writing and not thinking about it. As my Mum used to say: they open their mouths and let their bellies rumble! The impact can range from neater handwriting as they are more focused when they start writing again, better paragraph structure (see my WEL structure), more accurate and relevant detail and analysis. The students have done this often enough and been given feedback on their feedback so they know what is expected. Some students have even given their sheet back and asked for more meaningful comments! Let me know if you would like any other examples and if you think it could be improved please get in touch, I’d love to develop it further. This entry was posted in Assessment, Differentiation, History, Resource, Social Studies on November 30, 2015 by Lindsay Bruce. Two in-service days to break up the October to Christmas term! A welcome relief from the busyness and non stop work with all secondary pupils. For many of us – one of the most useful and helpful in-service days of the year! Every year Scottish Borders Council allocates one in-service day to be used as a cross schools subject day when all teachers from each discrete subject get together. It is always a really helpful day for all teachers. In the past few years the Art and Design days activities have ranged from visiting artists and designers to visits from representatives from the SQA. This year, with a non existent budget and a prescribed focus on “verification and moderation” I decided to tap into the existing skills of the teachers we have within the region and use the time for a variety of cross marking and information sharing activities. The day started with information from the SQA on standards for National 3 to Higher for both the course assessment and unit passes. I shared some of my National 5 written paper marking experience which we used to practice mark some papers using the Understanding Standards website. 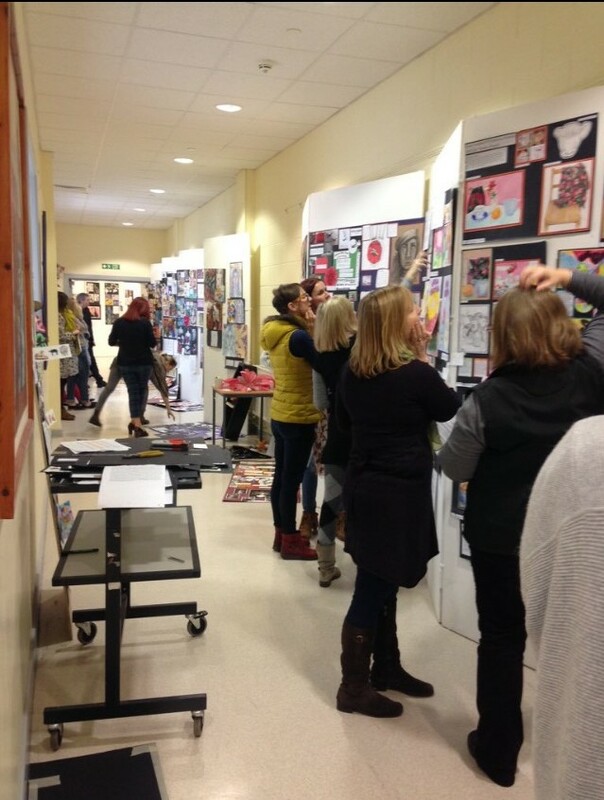 The afternoon consisted of both National 5 and Higher design and expressive folio marking. Each school brought a number of examples from last year, with the marks. They were pinned up and the marks put next to them, hidden underneath a sheet of paper. We used the SQA marking scheme to mark the units and then discussed the marks the units got drawing on the experience of a number of our teachers who mark both National 5, Higher and Advanced Higher. It was a really beneficial day and great for cross marking, standardization, moderation and confidence that what we are all doing is going along the right lines! Long may it continue! This entry was posted in Assessment, Expressive Arts on November 16, 2015 by Mary Bertram. In my recent post ‘Why we need to reform assessment‘, I outlined a number of issues which give me concern over the assessment of SQA National 3-5, Higher and Advanced Higher courses, introduced as part of the delivery of Curriculum for Excellence. Whilst there may be many teachers who would wish for a return to the simpler assessment arrangements of the Intermediate 1 & 2, Higher and Advanced Higher qualifications of the ‘Higher Still’ era, which have been replaced by the CfE courses, I feel that one of the major shortcomings of CfE is its failure in doing anything to fundamentally change the nature or the purpose of assessment. The new system, as with all of its predecessors, places almost the entire value of the certified qualifications on the terminal summative assessment of the course – the exam. Though some courses have significant elements of coursework, and many include an extended project or research task, still the majority of what our students, schools and staff are judged upon happens in a narrow time frame of a few hours at the end of almost an entire year of study. The results of these high stakes assessments supersede those for the individual unit assessments completed during the courses studied, rendering them effectively worthless. In addition to this, there is the issue of the complexity involved in marking and recording the results of the unit assessments (which I outlined in ‘Why we need to reform assessment‘) which makes it difficult for students to understand whether they have passed units or not and increases the administrative burden on teachers. This system could be expanded to incorporate all unit assessments in all subjects at all levels, and could be set up so that students performance could be recorded against the many individual criteria necessary to achieve a pass in a given unit. Any reassessment required could automatically be tailored to the specific areas not achieved at the first attempt. Given a sufficiently large bank of assessment items, or a sufficiently adaptable format, allowing numerical data to change for calculation-based questions (as it does on Heriot-Watt University’s Scholar VLE), it might be possible for students to make multiple attempts at assessments until the required standard is reached. As the system is fully automated, this would free up teachers’ time for teaching and supporting their students learning, rather than using it for the bureaucratic administration of data. It would also reduce the ‘data chase’ required to ensure that SQA data is kept up to date on school MIS systems for transfer to SQA systems. Most courses have individual unit assessments which must be passed by students in order for them to achieve a grade in the final examination. Although these unit passes are included on students’ certificates, there is no explicit value placed upon them in comparison to the exam grade achieved. By allocating all components of all courses a number of points at the relevant SCQF level, students could potentially build up points across a number of courses whilst being able to choose whether or not to sit the final examination. 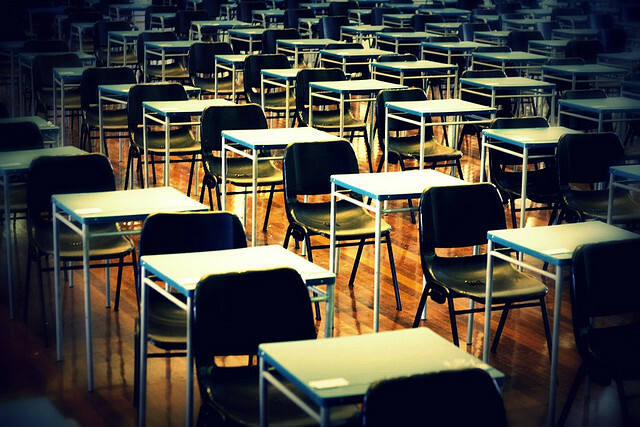 This would reduce the ‘high stakes’ nature of the final examination, and allow for students, departments and schools to be judged and compared over the full range of their performance. Many courses have an internally assessed ‘Added Value’ unit, which at N4 has to meet every one of a significant number of individual criteria. Teachers are allowed to provide feedback to students in order to modify their submissions so that these criteria can be met. The equivalent component of most N5 courses is an externally assessed ‘Assignment’, a formal report which is completed ‘under close supervision’ after a period of research which may include practical experimental work. Though guidance is given to students from their teachers, no feedback may be given on the report produced which is sent to the SQA to be assessed. The final mark for the assignment, given out of 20, forms a small proportion of the final score and hence the final grade. These arrangements make it much more demanding for an N4 student, who may find the task much more challenging than most N5 students. A poorly completed N4 AVU would not meet all of the critera, resulting in the student not meeting the requirements of the unit, and subsequently not receiving an overall award for the course. A poorly completed N5 Assignment carries no such penalty, and would simply give the student a lower final score – without denying the student an overall pass. In addition to the significant differences in the assessments of these equivalent tasks across SCQF levels, AVU and assignment tasks are often very similar in related subject areas. This results in significant duplication of effort and repeated assessment of skills across a number of a student’s subjects. By assessing these tasks on a skills basis, rather than within subjects, a single AVU or assignment could be completed by a student studying more than one science, or social subject. Students could choose which subject or subjects their assignments could cover, potentially allowing more meaningful, challenging, inter-disciplinary work to be undertaken. Though this might make the assessment of students’ reports more complicated, it might offer an opportunity to make the assessment criteria more flexible, as they are for the Baccalaureate qualifications undertaken by some students in S6. If nothing else, a reduction in the number of these tasks would significantly reduce the workload on students and reduce the SQA who have found it increasingly difficult to recruit sufficient markers for these tasks since their introduction. I recognise that these proposals would require significant change to our current systems of assessment and certification, and that the Scottish teaching profession has experienced unprecedented change throughout the development and delivery of Curriculum fro Excellence. I further accept that one of the main reasons for avoiding radical change in the exam system has been concern that parents, employers, colleges and universities, might not fully understand the significance of new qualifications. In reality, it could be argued that these groups don’t fully understand the significance of the current qualifications system, and haven’t done so for a long time, if they ever have at all. On a superficial level, it is easily understood that a student with an ‘A’ grade in a qualification is in some way ‘better qualified’ than another with a ‘C’ grade in the same subject, and that a student with five Higher passes is ‘better qualified’ than another with three Highers and two National 5s. But unless one has recently studied a course, or taught it, there is little chance of understanding what knowledge and skills are really involved gaining such a qualification, let alone how that qualification compares with other subjects or other levels. It is often argued that we need these qualifications to allow universities to choose between applicants for places on their undergraduate courses. Without wishing to belittle this assertion, it does bear comparison to the ‘Sorting Hat’ in the Harry Potter novels – e.g. ‘AAAAB’ at Higher being the minimum requirement for a Law degree (Slytherin?). Increasingly, however, universities apply their own assessment requirements (BMAT, UKCAT exams), conduct entrance interviews, or consider applicants on the broader indicators of their personal statements, reducing their reliance on the crude measurement of ‘ability’ given by exam results alone. In many ways the awarding of badges by organisations such as the Boy’s Brigade or Scouts to indicate the achievements of their members is a much more understandable form of accreditation. Indeed many professional and vocational qualifications are already ‘badgified’ in this way using industry standards, against which ‘badges’ are referenced and accredited. Mozilla, the organisation behind the Firefox we browser, support such a system for teachers to award ‘Open Badges‘ to their students using ‘open standards’ – where the criteria for which the badge is awarded are embedded as meta-data and awarded digitally. These badges can be electronically attached to a student’s digital profile via their blog, Google or other online account, and shared with prospective employers, colleges and universities. Open badges may not solve all of the short comings of our current system, indeed other, better systems may be in use elsewhere, or currently under development. Such a system, if combined with students’ unique Glow account could potentially stay with them throughout their schooling and beyond, perhaps even following them beyond further and higher education and into employment. The development of such a ‘Scottish Learner’s Account’, integrating assessment, certification and the accreditation of skills could form the foundation of a truly radical approach to these issues upon which students at all stages could build throughout the ‘Lifelong Learning’ that lies at the heart of the Scottish Government’s ambitions for the future of education. This entry was posted in #ScotEdChat, Assessment, Pedagoo and tagged assessment, certification, cfe, open badges, SQA on November 10, 2015 by Drew Burrett. Following on from my post back in May ‘Do Exams Pass Under CfE?‘, I have given the issues of assessment and certification some further consideration, which I discussed in my presentation at this year’s Teachmeet SLF ‘Breakout’ event held at CitizenM, Glasgow back in September. This post is an attempt to summarise and explain the issues which cause me, and many other people in education, huge concern and why I believe assessment must be reformed. As I outlined in ‘Do Exams Pass Under CfE?‘, the system of assessment and certification has remained largely unchanged after the significant changes brought to the Scottish education system by Curriculum for Excellence. Course content may have been reworked in most subjects, with many now including an extended research and presentation task (assignment) which contributes a proportion of the final exam score, but the framework of unit tests and final exam remains at the heart of how students are assessed. In many ways what has been put into place for the new CfE National 3-5, Higher and Advanced Higher courses, with the unit tests becoming more high-stakes than the NABs they replace – candidates receive only two opportunities to ‘pass’ these tests unless under ‘exceptional circumstances’, but cannot receive a grade for the final exam unless all course units have been passed. 2.1 Knowledge & Understanding (KU) – which is broken down in to individual Key Areas described in the SQA arrangements documentation. To ‘pass’ this component students must respond correctly to at least half of the questions – i.e. if there are 14 questions, 7 must be answered correctly. If a student doesn’t meet this requirement they can be reassessed, but they need only to attempt questions from Key Areas that they did not ‘pass’ in their first attempt. If they do not succeed at a second attempt, they have not met the minimum standard and cannot progress unless there are ‘exceptional circumstances’ which would allow a third attempt. 2.2 Problem Solving (PS) – which is further broken down into four skills – Predicting, Selecting, Processing and Analysing. In these tasks student must correctly respond to at least half of each type of question in order to ‘pass’ that problems solving skill – i.e. if there are 6 processing questions, 3 must be answered correctly. Students who don’t meet this requirement for each of the problem solving skills do not need to be reassessed, as other unit assessments will allow opportunities to demonstrate the same skills. Each skill need only be ‘passed’ on one occasion across each of the three unit assessments. It should also be noted at this point that different marking instructions are applied to these assessments than those for the final exam. A standard calculation question in the final exam would be marked out of three, broken down into a mark each for: the correct formula; the correct substitution of the values given in the question; the final answer with the correct unit. A student making an error or omission would still be given credit for what is done correctly. In the unit assessments students’ responses are either totally correct or just wrong. This means that any minor error leads to the student being penalised for the whole question. Teachers giving these assessments must record each students performance in terms of ‘pass’ or ‘fail’ not just for each unit, but for KU and each of the four PS skills for each unit. This applies to courses at all levels from National 3 to Advanced Higher. The collating and recording of students’ progress through these assessments is both complex and time consuming. However, more is required both of students and teachers. Outcome 1 – practical experimental report. This tasks is broadly similar to the LO3 task in the old Higher course where students perform an experiment and write up a detailed report meeting criteria set by SQA. This task is broken down into a number of individual outcomes, each of which can be achieved in any number of different activities. Students need only achieve each individual outcome once across the whole course – these must also be recorded by the teacher. Research task – The detailed requirements vary between courses, but in general this is an extended research task which is conducted by all students. At N4, the ‘Added Value Unit’ (AVU), which is internally assessed, contains a number of individual criteria all of which must be met in order for the student to ‘pass’ the task and achieve a course award. Students may receive feedback from teachers to ensure all the criteria are met. At N5, students conduct an ‘Assignment’. This research task, which may or may not include experimental work, requires them to collate information as they progress through the task. At the end of the ‘research phase’ of the task, students are required to compile a report, including items demonstrating a variety of information processing and presentations skills ‘under a strict degree of supervision’. The student can not be given any feedback on their report, which is sent to SQA for external assessment. The assignment report is given a mark out of 20 which counts towards the final grade. At Higher, students complete the ‘Researching Physics’ half unit within the course. This is assessed internally by teachers against criteria set by SQA and must include evidence of both research and practical work conducted by the students. The Researching Physics unit can be used as the basis for the students’ remaining assessment task – the ‘Assignment’. As for the N5 assignment, students must compile a report ‘under a degree of strict supervision’ demonstrating a number of information processing and presentation skills, and no feedback can be given. The completed report is sent to the SQA for external assessment with the mark out of 20 counting towards the final grade. At Advanced Higher the arrangements are similar to those for Higher, though pupils conduct extended practical work as part of their ‘Investigation’. This is assessed both internally as a half unit, and externally through their investigation report which is compiled by the student through out the task. 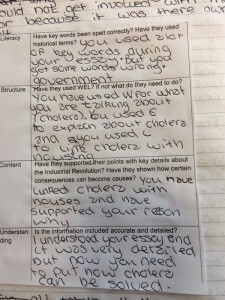 Students are allowed to be given feedback at all stages throughout this task. 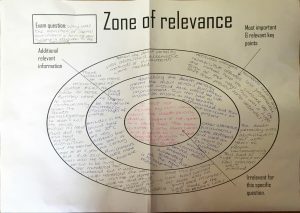 This entry was posted in #ScotEdChat, Assessment, Curriculum, Implementation, Pedagoo, Qualification, Science on November 3, 2015 by Drew Burrett. Google Classroom…the new IT silver bullet? The goal: going paperless. Why? Not only is it better for the environment but it prevents me from *misplacing* those pieces of paper without names that were handed to me in the corridor period 9 on a Friday and aids easy tracking of progress. I have been using Google Classroom with my Year 11 class since the 16th of June and introduced it to my Year 10 and A Level groups at the start of this school year. I had previously been using Edmodo which had been working well, however, with Google Drive being such an integral part of my teaching life it seemed stupid not to give Google Classroom a go. For those of you familiar with Edmodo it is similar in many ways – you provide your class with a code to access the classroom page. This is all done through the google sign in details. You can post announcements (which can include links to websites, images or document attachments) and create assignments that are submitted via the student’s google drive. It allows for easy marking and editing of pieces of work that are submitted as google docs (tip: it is essential that students submit the documents as a Google Doc rather than a Microsoft Word document if you would like to edit or comment on it). 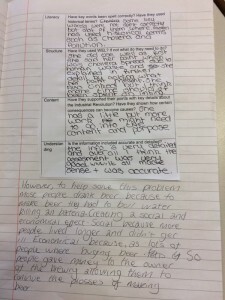 The comments are seen down the side of the page and the student can then resolve them as they act on the piece of work. It is easy to add missed worksheets or PowerPoints onto the page from my own Google Drive. 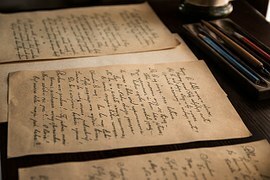 I can see the comments I have made on work previously submitted by a student and the mark that was given – this is lost when marking work on paper as the comment is returned with the students so it is difficult to verify whether the student has acted upon the feedback given. Google drive is already an integral part of many workplaces. If your students do not already use Google Doc/Google Drive to store and complete work it can be quite an adjustment for them to get used to completing work in this format rather than in Microsoft Word. Using Google Classroom is reliant on being connected to the internet – if you do not have access to a good internet connection either at school or at home it may not be for you. For the marking and commenting process to be time efficient you should be comfortable typing and reading work from a screen. For me, Google Classroom has made my marking both more efficient and effective and has worked in seamlessly with the way I already use Google Drive. Whilst it may not be an educational ‘silver bullet’ it may just save you some time (which we all need some more of) and seems to be one of the best ‘virtual classroom’ spaces available at the moment. Please feel free to let me know if you have any questions about how Google Classroom works or how I have implemented it with my classes! 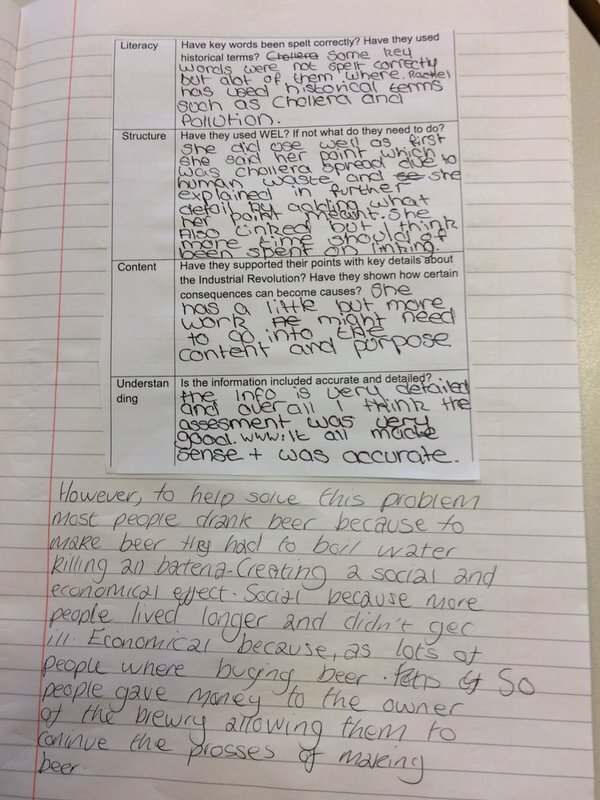 This entry was posted in Assessment, Curriculum, ICT, Ideas, Involving Pupils on November 2, 2015 by Jenna Larkin. Differentiated CPD – It’s The Future! 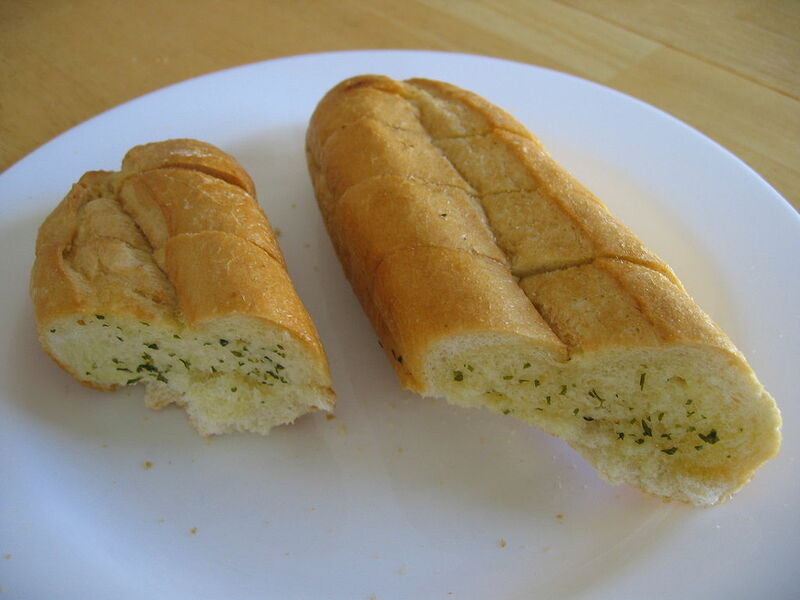 I’ve Tasted It! Have you ever been forced to sit through a whole day training session on an area of teaching you consider to be one of your strengths? 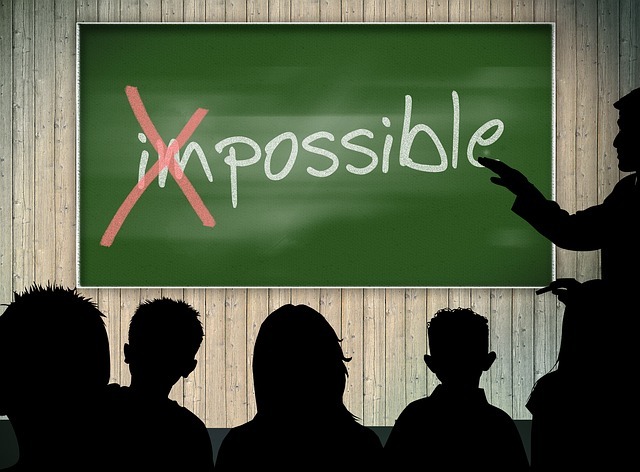 Has a trainer visited your school to say that you should be teaching in a style that really wouldn’t work for you? Did you go to the same Teachmeet as me last year where an ‘Educational Consultant’ stood up and spent ten minutes telling a room full of qualified teachers what the difference is between formative and summative assessment? (She gave me her business card if anyone’s interested.) How about a death by Powerpoint experience? An evangelist with an annoying amount of enthusiasm for an idea that’s a tiny bit rubbish? If you are like me, the answer will be yes to all of these questions. It’s funny how we are all busy differentiating our lessons for the benefit of the children we teach. But what about our learning? How can we make sure that we are getting the CPD we need to be the best we can be? The answer is something like Pedagoo Hampshire. A menu selection of 40 mini seminars, each delivered by different speakers who ranged from primary, secondary and further education teachers from across the south east of England, was available to choose from before arrival. After a talk by @graham_irisc which set the tone superbly, it was off to the starter course – Telescopic Education by @chrischivers2 and Collaboration by @hayleymc2222. Hayley bought to the table a plethora of suggestions on who to follow in the Twitter world as well as some wise words on how to organise a Teachmeet – something I would recommend to anyone looking to develop their own, as well as their school’s teaching and learning philosophy and delivery. I love the fact that Hayley organised one in her NQT year – amazing! It was nice to get a mention on one of Hayley’s slides (they say everyone is famous for 5 minutes don’t they?) but I didn’t let this go to my head. Instead, I concentrated on the importance of learning from each other. Next, Chris Chivers stimulated a discussion between a group of primary teachers on the barriers faced when trying to implement a bottom-up teaching model to secure progress. Admittedly, the group digressed into a sharing of ideas on curriculum enrichment and CPD opportunities and what the barriers to these are instead. The message was loud and clear – lots of teachers feel scared to digress from the core subjects – a terrible shame in my opinion, and that of my peers in the group. The sorbet course to cleanse the pallet came in the guise of @basnettj on giving pupils feedback and @lizbpattison on how differentiation might just be counter-productive. There were some great discussions generated around the importance of involving students in feedback. I raised the question of peer feedback in mixed ability groups and whether this can work for the higher attainer – I haven’t yet found my answer. Then my clever (sorry I mean able/gifted/talented *delete as applicable) friend Liz stepped up with some fascinating thoughts on the effectiveness of differentiation on the growth mindset we are all looking to expand. What did I take away from her talk? Well, it reinforced my view that differentiation is brilliant when done properly but can be disastrous when done badly – as it was for Liz during her school days when she was labelled ‘middle ability.’ (You wouldn’t know it to hear her now!) Unfortunately for Liz, but fortunately for us, she still can’t let it go, which means I am very much looking forward to hearing about the research she continues to do into the subject. The main course was a corned beef and pickle sandwich (me) paired with a fillet steak and triple cooked chips (@graham_irisc). Graham invited a discussion on what is important to focus on – is it inspection? Is it budgets? Is it the standard of biscuits in the staffroom? No, the room came to the conclusion it was teaching & learning. Although, in my opinion, biscuits definitely feed into this. (Pardon the very accidental pun) Then it was my turn to evangelise on the benefits of empowering middle leaders along with some tips on how these vital members of staff can empower themselves to deliver brilliant learning experiences for their pupils. Thank you to everyone who turned up – I hadn’t slept for a week wondering if I still would have delivered my presentation to an empty room! I think I would have – it would have been a terrible waste to have not given it an airing. And then, just when the full-up sleepy feeling started to take over, there was @natalielovemath to wake us up from our slumber with a very inspiring talk on using objects bought from Poundland to enrich Maths lessons. I don’t teach Maths anymore and this session only served to make me sad about this fact. Although, the idea of pasta graphs, children writing on disposable table cloths and sticking numbers on fly-swatters have been enthusiastically received by the Maths teachers at my school! Then, just when I thought things couldn’t get any more surreal (in a brilliant and inspiring way!) @haslemeremuseum extracted woolen brains from a poor Egyptian rag doll. Learning through objects is very under-rated and can be the key to unlock the door of learners who struggle to take an interest. Before departing, the classy port and cheese board came in the form of @lcll_director who pressed home the need for using days like this to actually make changes in our practice. “All of these brilliant ideas are no good just stored in our heads,” murmured the rag doll from session 4. So there we have it – a day of differentiated CPD just for me. Imagine if groups of schools got together to do this at the start of every school year – giving teachers a choice of CPD suited just to them through the sharing of strengths and passions of their peers. Would that be better than a whole-school INSET day which doesn’t differentiate for the needs of every learner; in this case, teachers? I think so. How about you? 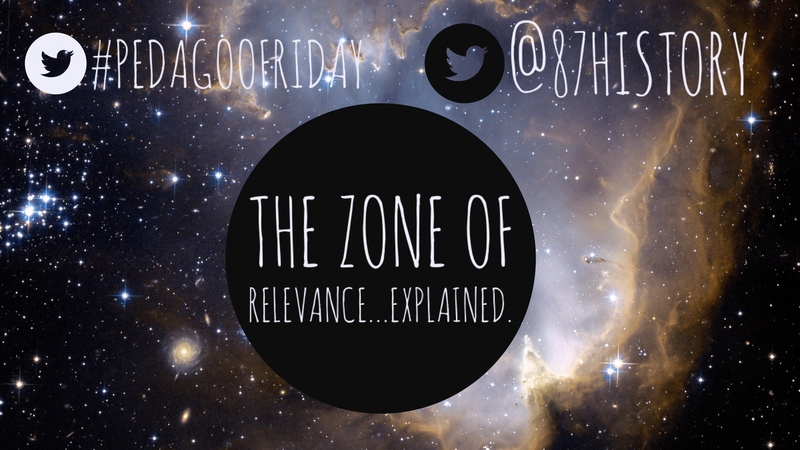 This entry was posted in Assessment, Creativity, Differentiation, Ideas, Implementation, PedagooEvents, PedagooLocal, Professional Learning, Research and tagged #PedagooHampshire on October 20, 2015 by @lecfarnborough. Too often curriculum content is not liberating! Instead it can stifle creativity, limit progress and in some cases it is simply out of date! Placing children at the centre of our curriculum models and asking BIG philosophical questions of them helps to liberate the learner. It provides them with the opportunity to autonomously seek knowledge, articulate, understand and then model it through their own journey of learning. Philosophical learning is not just for the high achievers. Debra Kidd, Education Consultant and former teacher, developed a cross-curricular model that placed the child at the centre of the learning, and discovered that it significantly added value to learners with low attainment levels in English. On episode 34 of the Inspiration 4 Teachers Podcast Show, Debra discusses how to develop cross-curricular assessment models that helps children with philosophical learning. 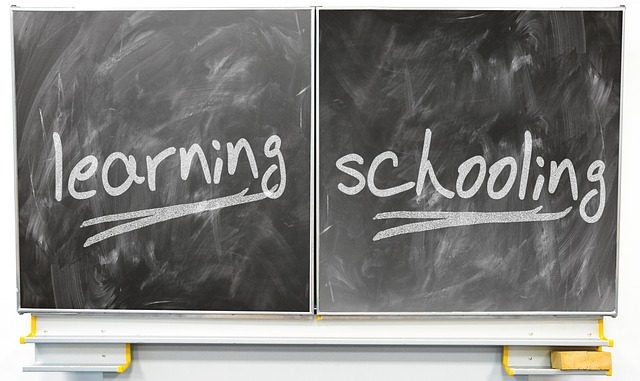 She reveals her lessons learnt and ideas for curriculum and assessment improvements. This entry was posted in Assessment, Curricular Areas, Curriculum, Resource on September 9, 2015 by K Long.